Global Washington hosts numerous trainings and educational events each month, ranging from small workshops on topics like communications, fundraising and nonprofit management, to larger speaker events, to VIP events with policymakers. Additionally, our annual conference convenes the international development community on the west coast, including top NGO practitioners, CSR business executives, research experts, philanthropists and others working on global issues. Reliable access to clean water changes lives. Without clean water, the health and livelihoods of entire communities are at risk. UN Sustainable Development Goal 6 seeks to ensure the availability and sustainable management of water and sanitation for all. Yet some approaches seem to be better than others when it comes to achieving this goal. Global progress has been steady – between 2000 and 2015, 1.6 billion people gained access to clean water for the first time. But according to UNICEF, somewhere between 30 and 50 percent of water, sanitation and hygiene (WASH) projects failed after just two to five years. How can this be? Many development efforts face challenges of sustainability, not just WASH. Several Global Washington members have iterated and improved upon water projects to drive toward success. They are willing to share their missteps and talk about applying sustainability principles across project planning. Join us! 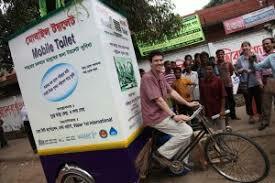 Kirk Anderson is the Director of International Programs at Water1st International, where has worked since 2007. Kirk coordinates Water1st’s support of programs in Bangladesh, Ethiopia, Honduras, and Mozambique. He is also responsible for monitoring and evaluation activities, which insure that Water1st’s investments will be lasting improvements for poor communities around the world for years to come. Kirk has a M.S. in Public Policy from Georgia Institute of Technology and served as a Peace Corps Volunteer in Lesotho, Southern Africa from 1989-1991. Kirk is also an avid biker and invites you to join him for Water1st’s annual Bike for Water event! 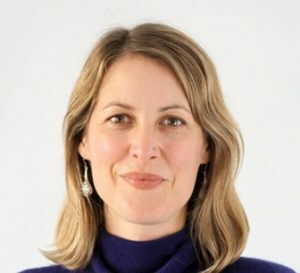 Cyndie connects funders with social impact opportunities to bring about a more just and sustainable world. 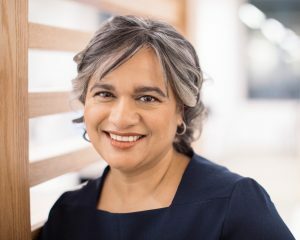 At Splash, a Seattle-based non-profit organization, she is helping build a $44 million consortium to ensure that all government schools in Addis Ababa; Ethiopia and Kolkata, India have improved water, sanitation, hygiene, and menstrual health services, a project that will benefit one million children. She has nearly 20 years of fundraising experience across a range of causes including environmental sustainability, indigenous rights, education, health, and WASH. She began her career as a consultant for the Asia Institute of Management and the UN Industrial Development Organization in the Philippines, followed by working in business development and communications for various technology companies. She holds a Bachelor’s degree in Political Science from the University of California at Berkeley. Patrick is the Director for Global Health at MSR where he oversees sales, marketing and partnerships for the company’s global health efforts. This includes development of project plans in support of key initiatives and leading cross-functional teams in executing on a local and global level. 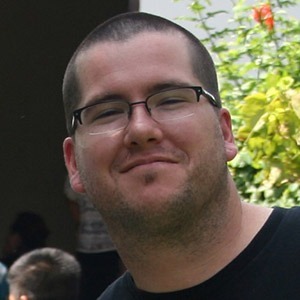 Patrick has been interested in private/public/NGO partnerships since studying development in college at Oakland University in Rochester, Michigan, and prior to joining MSR spent more than six years with Whole Foods Market in various operational roles where he worked to connect employees and customers to the corporations foundations and philanthropic efforts. Sarina joined WaterAid in May 2014. She is a seasoned leader with 20 years’ experience in international development. She most recently served as Deputy Chief of Programs at Orbis International, and as Country Representative at WaterAid Ethiopia. Prior to that, she spent nearly ten years at Pact Inc., serving both in Washington, DC and overseas. A tribute to her vision and leadership, Sarina was recently named by both Fortune and Food & Wine magazines as one of the Most Innovative Women in Food & Drink, and honored by the New York Business Journal as a 2016 ‘Woman of Influence’. Originally from Nepal, Sarina is now based in New York City where she is a proud mama to two young girls and co-founder of Buunni Coffee, a fair trade, organic coffee company. She holds a BA in Economics from Smith College, Northampton, USA and an MSc. in Development Studies from the School of Oriental and African Studies, University of London, UK. She is @SPrabasi on Twitter. You are invited to join author Alex Counts on his book tour of his latest book, Changing the World Without Losing Your Mind. This book will describe the key lessons the author learned related to nonprofit leadership, management, fund-raising, and governance gleaned from three decades working in the trenches of social change. In addition, it will outline his approach to self-care, evolved after almost burning out in his early 30s, that allowed him to not only advance the causes he cared about but also to remain healthy and lead a reasonably balanced life. While these lessons and the related stories from his lived experience will be of interest to anyone who seeks professional achievement and/or making a difference in society while maintaining a high standard of mental and physical health, it will be of special interest to young professionals aspiring to or recently installed in leadership positions in nonprofits and social enterprises. In essence, this book is an opportunity to listen in on an accomplished and healthy fifty-something nonprofit leader having a conversation with a younger version of himself, just as he turned 30 and was taking on his first major leadership role in advancing social change – a prospect that thrilled and terrified him. The Foreword will be written by Nobel Peace Prize laureate Muhammad Yunus. 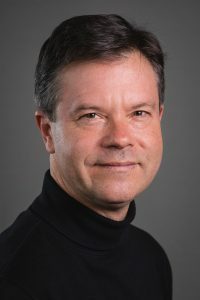 Alex Counts founded Grameen Foundation and became its President and CEO in 1997, after having worked in microfinance and poverty reduction for 10 years. Initially as a Fulbright Scholar, he trained under Professor Muhammad Yunus, the founder and managing director of Grameen Bank, and co-recipient of the 2006 Nobel Peace Prize. He is a Professor of Public Policy at the University of Maryland College Park and a Court Appointed Special Advocate (CASA). Registration is FREE but space is limited. Please register here. The mission of the DEI CoP is to foster greater diversity, equity, and inclusion practices among local non-profit, private and public sector professionals and community members located in the Greater Seattle area through shared best practices and strong collaboration. This workshop will educate participants on the importance of including persons with disabilities in their work. As many may already know, 800 million persons with disabilities live in the Global South, where they are twice as likely than the general population to live under the poverty line and far less likely to attend primary school (UNICEF estimates just 5% of children with disabilities attend primary school worldwide), yet just 1% of foreign aid reaches persons with disabilities, in part because many international development initiatives are inaccessible to and exclusionary of persons with disabilities. 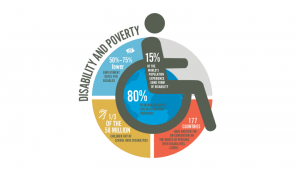 According to the 2018 inaugural UN disability and development report, despite the 2030 Sustainable Development Agenda promising “No one left behind,” persons with disabilities are systematically excluded from the SDGs (https://www.un.org/development/desa/disabilities/wp-content/uploads/sites/15/2018/12/UN-Flagship-Report-Disability.pdf). This workshop, however, will enable participants to be leaders in change by introducing them to best practices in disability inclusion policies and practices for their work. Victor Pineda, the Executive Director of World Enabled and the Global Alliance for Accessible Technologies and Environments will be one of the guest speakers and we are working on representation from the UN Special Rapporteur’s Office on Disability Rights and the Senior Adviser on Disability for USAID. Dr. Aresu is a gender and disability inclusive health specialist. She currently works at Humanity & Inclusion (formerly Handicap International – HI) as Inclusive Health Policy Lead. Before taking on this global position, Dr. Aresu worked as Country Director of the HI China Program (2013 to 2017). From this position, she led HI’s action at the country level on Sexual and Reproductive Health and Rights, Mental Health, and Gender Based Violence. 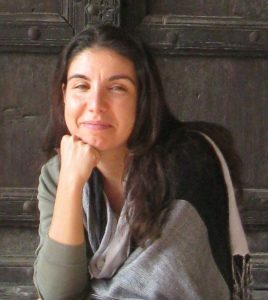 Prior to 2013, Dr. Aresu worked as post-doctoral research fellow and advisor on SRH, GBV and comprehensive sexuality education for INGOs, UN agencies and academic institutions in Italy, Haiti, China and the UK. She is the author of several articles and book chapters on these topics. Dr. Aresu also serves as co-chair of the CORE Group’s Disability Inclusive Health Technical Advisory Group, and of the Inclusive Health Task Group at the International Disability and Development Consortium (IDDC). Susan Sygall is CEO and co-founder of Mobility International USA (MIUSA). For over 35 years, Ms. Sygall, a disability activist, has co-authored numerous publications and lectured throughout the world on a variety of topics related to inclusive international development, women’s leadership, and disability rights. Her publications include Brilliant and Resilient: Celebrating the Power of Disabled Women Activists and her memoir No Ordinary Days: A Journey of Activism, Globe-Trotting and Unexpected Pleasures. During the course of her career she has focused on issues related to women with disabilities, having spearheaded MIUSA’s signature program, the Women’s Institute on Leadership and Disability (WILD). Through MIUSA, Ms. Sygall is working with several organizations and foundations to enhance the inclusion of people with disabilities in their internal and external strategies and programs. Ms. Sygall is an Ashoka Senior Fellow and a Kellogg Fellow. She is a Rotarian who has received a Rotary Alumni Achievement Award, a member of the International Women’s Forum, and is a Board Member of InterAction. She has also received the President’s Award from President Bill Clinton at the White House for her active role throughout our country and the world in empowering people with disabilities. 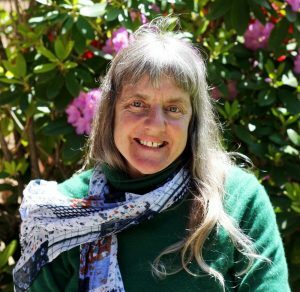 Ms. Sygall is a graduate of the University of Oregon and is currently an adjunct professor of the course Global Perspectives on Disability. She received an honorary doctorate from Chapman University and the University of Portland. This event is made possible in part by a grant from The Carnegie Corporation of New York to the Henry M. Jackson School of International Studies International Policy Institute. The statements made and views expressed by speakers are solely the responsibility of the speakers.